Thank you to all supporters who have already donated helping us exceed 33% of our goal! If you haven't already donated, please do so. 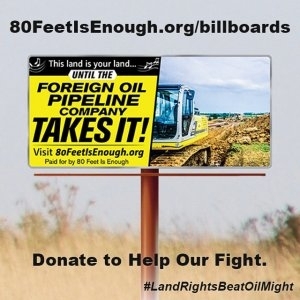 Please help to protect property rights and stop Enbridge's oil pipeline expansion in Wisconsin. Let's get those billboards up! !